BD1982 - Decades Tempest. Bleep. 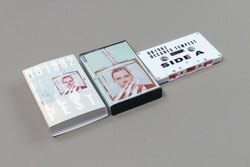 Hot on the heels of Aemong's stunning 1000 cassette, Diskotopia co-founder BD1982 follows a 2-year silence with a new album, Decades Tempest. Continuing the label's tradition for outwardly leaning electronica that encompasses everything from grime and jungle textures to post-punk and drone, BD1982 places all of this within the orbit of the label's key sound of ambient electronica. From a mind that has brought us everything from Rabit and Slackk grime tapes to ruffneck ragga/jungle from Seekersinternational, Decades Tempest seemingly pulls together all the individual threads that make Disktopia such an always-on-point imprint. While the sounds of tekno, grime and jungle are all, of course, present in one form or another, the influence from the otherworldly comic artwork of visionaries such as Bill Sienkiewicz and Barry Windsor-Smith, and a methodical exploration of the intricacies of composing on an MPC2000XL are key catalysts in the creation of Decades Tempest. While some of the tracks date as far back as sketches that first took life in 2003, the results are an epoch-eluding hybrid sound of kaleidoscopic and oscillating sci-fi Krautrock, choppy chrome percussion séances, murky New-Wave synth portraits, malfunctioning MIDI incantations, and metaphysical gothic vocal whispers. 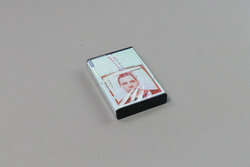 It's a testament to the lifespan of the sounds created that the entire album hangs together with a seriously fresh feel, one that places BD1982's sound firmly in place with much of the output of Actress, Rezzett and Breaker 1 2, yet is pieced together with a decidedly DIY dynamic that's transported directly from the centre of Diskotopia's homeland of Tokyo.